S O L D Completed 9/6/2014. Guardian Angel- Too many experiences in which I have known there is something greater than ourselves watching out for my family. 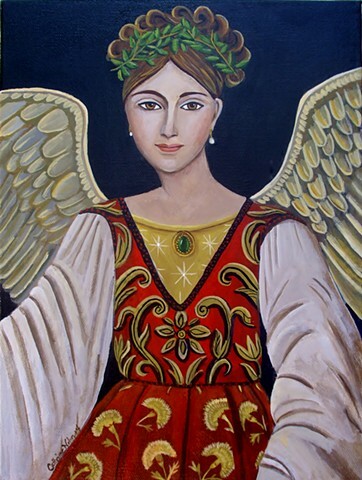 I have always loved painting angels and this one has special meaning. You can read more about it on my blog. This painting is 8x10 painted on stretched canvas with painted sides. Thanks for stopping by.